This month long internship opportunity in Peru is offered by a friend and colleague, Dr. Frederique Apffel-Marglin, a former Anthopology professor at Smith College. I have had several students participate in one of her courses at the Sachamama Center for Biocultural Regeneration and the experience has been universally transformative. If you are looking for a summer experience, please check this out and be sure to contact me if you want to earn academic credit for this internship. This internship will teach students experientially how to re-create the perennially fertile pre-Columbian anthropogenic soil known in Brazil as Terra Preta do Indio (black earth of the Indians). This soil contains a type of charcoal made with reduced oxygen, called biochar that never decomposes in the soil, retains nutrients and sequesters greenhouse gases by keeping them in the soil permanently. Students will learn to build a backyard biochar oven on the model of the successful oven at SCBR designed by its administrator, Randy Chung Gonzales. 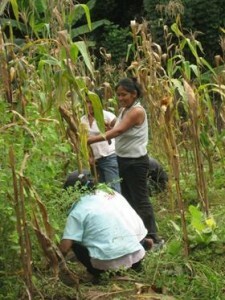 Professor F. Apffel-Marglin has been able to successfully re-create this pre-Columbian anthropogenic soil (which in SCBR we call by its Kichwa name Yana Allpa) and create extremely fertile food gardens on degraded lands in native communities as well as in several primary and high schools in the region, in collaboration with the school board of the Lamas Province. Students will learn from SCBR permanent technical team on its Yana Allpa project. This team consists of Ingeniero Teddy Saavedra Benzaquen and Girvan Tuanama Fasabi, a deeply knowledgeable Indigenous Kichwa young farmer. Students will be taken to visit native communities as well as some of the schools SCBR works with. Additionally, under the guidance of Professor Apffel-Marglin, students will experientially learn to relate to the earth in its many aspects as a Being – a Thou – with many different aspects rather than as an insentient, mechanical, natural resource there exclusively for satisfying some human need. 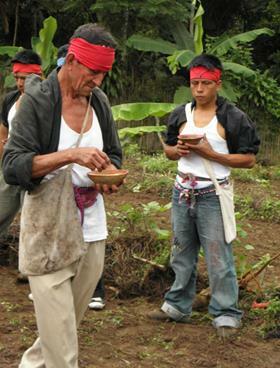 Since SCBR is in an indigenous milieu, the living world of the local Kichwa indigenous people will help us to empathize and connect with that milieu without necessarily adopting their specific practices. This re-created pre-Columbian Amazonian black earth of millenarian fertility, discovered by archeologists in the last two decades, is able to give local farmers, both indigenous and mestizo, an affordable and successful alternative to slash and burn agriculture. This is urgently needed since this region has the highest rate of deforestation in all of Peru and degraded lands, where the forest is no longer able to regenerate, are growing alarmingly. 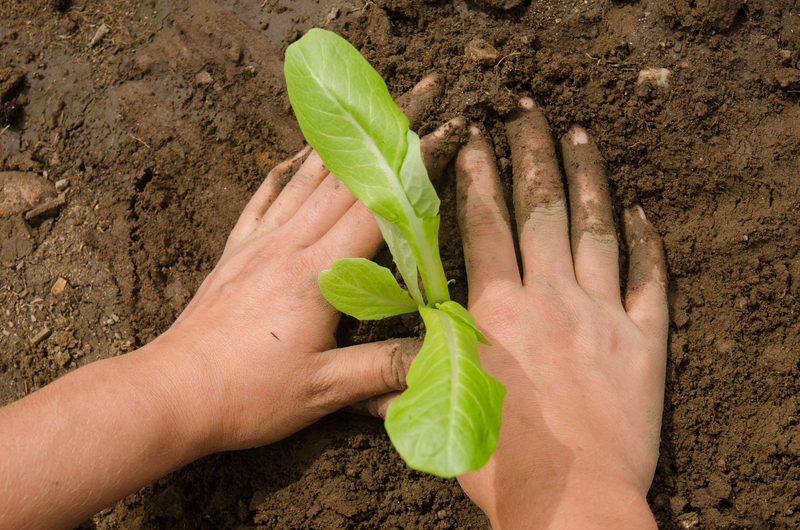 This type of soil has in it biochar, a type of charcoal that allows the greenhouse gases emitted by plants and bacteria in the soil to remain in the soil and not be emitted into the atmosphere. It is a permanent type of agriculture, whereas slash and burn uses a field for only a few years, and then farmers must clear and burn another patch of forest to grow food. This type of biochar agriculture is both much more productive as well as able to strongly mitigate global warming at least three times over: by not cutting trees, not burning them and keeping greenhouse gases in the soil permanently. This recreated soil holds the promise of achieving food security and community-based food sovereignty for native communities as well as all small farmers and also holds the promise of greatly mitigating global warming. Much of this technology can be adapted to colder climates in the global North. Those students wishing to add readings and writing to this internship can work individually with Professor Apffel-Marglin to identify relevant readings and help with writing if that is desired by a student. Students of course always have the option of registering for an Independent Study in the following academic year with a willing and interested faculty in their own institution and thus gain credit for all or part of the work done at SCBR during the month of July. • Students may also learn about Amazonian medicinal plants with Girvan Tuanama Fasabi who is a walking encyclopedia on that topic and grows them at SCBR. • Students may also learn indigenous and mestizo organic “slow food” cooking with SCBR’s manager and chef, Profesora Ida Gonzales Flores. • Students can learn in the indigenous section of Lamas, called Wayku, indigenous crafts such as ceramics, waist band weaving and more with an award winning Kichwa ceramicist and weaver, Manuela Amasifuen Sangama, at an additional cost of US $ 7.50 for an entire afternoon. • Students wishing either to learn basic Spanish or improve their Spanish can take lessons with Abby Corbett, who has a graduate diploma in Spanish Language from the University of Louisville and several years’ experience teaching Spanish, for an additional cost to be negotiated directly with her at SCBR. $ 1,400.00 per student; for the 31 days of July (July 1-31, 2014); includes room and board; local course related transport to visited communities; tuition to SCBR and instructors. Students are responsible for expenses incurred during their free days, although SCBR will provide a picnic lunch as well as breakfast and dinner on the weekly free days. This cost does NOT cover international air travel to and from Peru or to the city of Tarapoto where the nearest airport is located. To reach Tarapoto in the department of San Martin, you take a flight to Lima (Peru’s capital), then a flight to Tarapoto (one hour flight; there are four airlines making daily flights Lima-Tarapoto-Lima) or a bus ride from Lima to Tarapoto (about 28 hours). For international travel, the Panamanian COPA airline tends to be less expensive; major US airlines (United, Continental, American) also fly to Lima. SCBR will pick up students at the Tarapoto airport for the half hour ride to Lamas. • Send a brief statement about yourself, your interest in this internship and background for it to Prof. F. Apffel-Marglin at: fmarglin@smith.edu ; If possible state which of these activities are most appealing to you and whether you are interested in guided readings and writing. • Deadline: May 15, 2014. • Full payment due on June 15, 2014.